Bel Air, MD, February 05, 2018 --(PR.com)-- Go2Group – global provider of IT delivery solutions and DevOps implementation products and services – announced today a collaboration with CloudBees® – the hub of enterprise Jenkins® and DevOps. This collaboration will accelerate the adoption of DevOps and assist customers around the globe to achieve DevOps business goals faster. The alliance will provide support and security for enterprises looking for the right mix of tools, strategies, and integrated teams for DevOps initiatives. With 2018 projected as "the year of enterprise DevOps," and organizations – including federal agencies – are under tremendous pressure to deliver high-velocity and quality software, increase standardization, and implement best practices. Adopting DevOps practices and utilizing automation technology are key to achieving these goals. 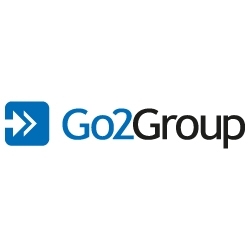 Customers seeking an enterprise DevOps solution, such as that offered by CloudBees, can now subscribe to the CloudBees offering from Go2Group. In addition to the CloudBees Jenkins Enterprise™ platform, customers now have an avenue to explore Go2Group's offerings in DevOps consulting and training, DevSecOps, integration, cloud hosting, and more. Leveraging the combined strengths of Cloudbees and Go2Group, enterprises can jumpstart their DevOps transformation and tap into Go2Group's proven track record in DevOps implementation. Brett Taylor, President, Go2Group said, "We are excited to begin this journey. This enables both companies to deliver tremendous value to its mutual customers. Go2Group's partnership with CloudBees is a big win for our enterprise customers who are looking for the security, stability, and manageability that Jenkins provides as a continuous delivery solution. Our combined expertise enables us to reach out to a larger customer base that wants to achieve business agility through DevOps practices. Jenkins is now a very important piece of our DevOps story." CloudBees is the hub of enterprise Jenkins® and DevOps, providing companies with smarter solutions for automating software development and delivery. CloudBees starts with Jenkins, the most trusted and widely-adopted continuous delivery platform, and adds enterprise-grade security, scalability, manageability and expert-level support. By making the software delivery process more productive, manageable and hassle-free, CloudBees puts companies on the fastest path to transforming great ideas into great software and returning value to the business more quickly. CloudBees was founded in early 2010, is incorporated in the United States, and has worker Bees in the USA, Europe and Asia. Most of the Bees share a strong pedigree in continuous integration, continuous delivery, DevOps, application development and open source. Go2Group, a global provider of IT delivery solutions, helps enterprises achieve business agility. Founded in 2002, the company offers enterprise-level software products and services for ALM (Application Lifecycle Management), DevOps, cloud, and agile practices. It specializes in complex integration projects involving multiple platforms and multiple teams for improved productivity, enhanced collaboration, and accelerated software development. ConnectALL®, a flagship product from Go2Group, is an application integration solution that connects multiple tools and applications, enabling an organization’s development and management teams to collaborate efficiently and flawlessly across many development platforms. It seamlessly unifies various DevOps systems so that teams can use the tools of their choice and still work together. Click here to view the list of recent Press Releases from Go2Group, Inc.